Made from beautiful wooden the board has a large surface for chopping anything from cheese to veggies. 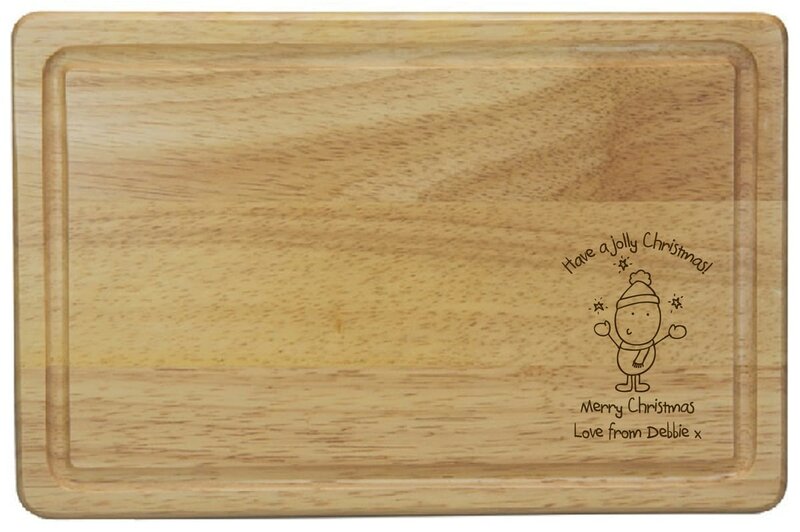 With a cute Chilli and Bubbles character in the corner, and your message engraved into the wood, this gift is not only useful but will bring a smile to their face whenever it's used. Whether it's making Christmas dinner or being used at any other time of year!